The Robinson Law Firm along with Birmingham law firm Mann & Potter was hired on a wrongful death case again Marten Transport. The case was tried beginning the week of February 9. On February 19, 2015, Judge Charles Robinson, Charlie Robinson, Jr. along with Ted Mann and Robert Potter obtained a $6,500,000 Million Dollar wrongful death verdict against Marten Transportation and their driver. The driver of the 18 wheeler crossed the median of I-59 in St. Clair County and hit and killed the plaintiff. The case was tried for 8 days and it took less than 6 hours for the St. Clair County jury to award the largest wrongful death verdict in St. Clair County for the past 75 years, maybe forever. We have been hired to investigate a motor vehicle accident involving a Fed Ex ground 18 Wheeler that struck our client leaving her in a coma and paralyzed. The Robinson Law Firm obtained a Verdict in a highly contested Probate/Estate case with a value of $1.8 Million. The Firm represented the Brother of a man who had a full time caretaker. The caretaker convinced the man to transfer the family farm to which had been in the family for over a 100 years to her along with a subtantial sum of money prior to his death. 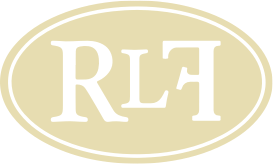 RLF files suit against local nursing home for abuse and neglect of a non-comp resident who was suffering from stage 4 bed ulcers and as a result died. ©Copyright 2017 Robinson Law Firm, P.C.. All rights reserved. “No representation is made that the quality of the legal services to be performed is greater than the quality of legal services performed by other lawyer"